History and Milestone | SUN LUNG Gear Works Co., Ltd. The founder Mr. Liao Zhao Xiang established "SUN LUNG gear machinery factory" In Tainan city, major in gear machining. SUN LUNG developed and manufactured the improved gear hobbing machine and exported around 40 stands to East-Southen Asia. Imported the Japanese new type gear hobbing equipment NDP 660. Purchased the Japanese new type gear hobbing equipment NDP 1800. The factory name had been added "Former: Sun Lung Gear Works Co.,Ltd.". SUN LUNG started to transfer the business model and invested various gear grinding & hobbing equipment, and produced the gear parts and gear box for Formosa Petrochemical corporation. SUN LUNG started to research and develop the gear box for Plastic Extruder Sun Lung Invested the German new type NILES gear grinder and enhence the grinding technology. SUN LUNG participated in the gears development and production for Taiwan's Hsueh Shan Tunnel, No.6 Naphtha Cracker Project. SUN LUNG cooperated with the Japanese company "PLACO" to produce the gearbox and enhance the product quality. SUN LUNG produced the gear parts and gear box for Formosa Petrochemical corporation project again. The company name had been changed to "Sun Lung Gear Works Co., Ltd."
SUN LUNG invested the German NILES 1250 gear grinder. SUN LUNG presented and exhibited the gear series product in Japan. SUN LUNG invested the German KLINGELNBERG gear tester. SUN LUNG proceed the administration and production process by e-management. SUN LUNG invested the Swiss REISHAUER precision gear tester. SUN LUNG passed the ISO9002 international quality certification. SUN LUNG became the member of TAMI Taiwan. SUN LUNG purchased many gear production related instruments. SUN LUNG became the member of AGMA USA.The capital had been increased to 66 millions. SUN LUNG invested the precision CNC gear tester from OSAKA Japan. The second factory is established in Shin-Yi Rd, An-Ping Industrial Park. SUN LUNG invested the large-scale 2.5M gear hobbing machine from Japan. SUN LUNG invested the large-scale CNC multi-machining center. The new company "Jou Fong Technology Co.,Ltd." is founded. SUN LUNG cooperated with the Japanese " AIDA" company to produce the precision gear parts. SUN LUNG cultivated the new technology, process optimization and cost reduction by Dr.Zhan-Hwa Feng's guidance. SUN LUNG cooperated with VATM enterprise Co., Ltd. and lead into the international management strategy and value chain operation. SUN LUNG invested the worldwide latest German 2M HOFLER gear grinder,the highest precision can be reached to DIN 1~3 grade. SUN LUNG exhibited the new type gear reducers in TWTC Taiwan. SUN LUNG sponsored the gear manufacturing technology seminar in TWTC Taiwan. The third factory is established in Shin-Siao Rd, An-Ping Industrial Park. SUN LUN Ginvested the large-scale 3.2M German gear hobbing machine. SUN LUNG passed the CE certification approval for gear boxes. SUN LUNG invested the worldwide latest German 800mm NILES gear grinder, the highest precision can be reached to DIN 1~3 grade. The sales volume of gear boxes had been reached to 9,500 stands worldwide, the sales performance is No.1 in Taiwan. 2010 TAIWAN Innovation First Prize Award. 2010 TAIWAN Invention National Medal of Light. Worldwide 7 countries Invention Patents. Germany authoritative Kunststoffe journal special reported. The total sales volume of gearboxes reached to 18,000. Construct international green architecture plant, enhance brand image and production capacity. 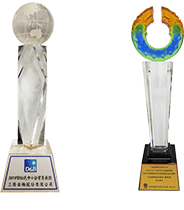 Acquired the first prize in PLASTIC & RUBBER MACHINERY AWARDS 2014 for excellence in innovation. Acquired TAIWAN SME EXCELLENCE AWARD. Gearbox factory had been moved to Taiwan Technology Industrial Park.